WWF engaged Ethicore to help build their partnership with Thai Union Europe into a global relationship to lead sustainability of the seafood sector. We designed and delivered a process of engagement, concept development and co-creation to develop a direction for their global partnership and support both partners. Ethicore further supported this project once it moved to the implementing country, Ethicore facilitated conversations between the country teams and the global teams to ensure the shared value partnership was also applicable in implementing country. 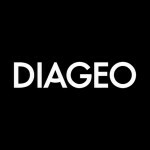 Diageo brought in Ethicore to help transition from the Diageo Foundation to a portfolio of programmes in the core business that deliver social and environmental impact. Ethicore engaged key stakeholders mapped the current commitments and developed a strategic approach for programmes going forwards. 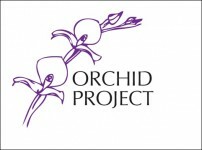 Orchid Project is an immensely influential organisation which aims to end FGC in a generation. Excited by their ambition, we wanted to help them develop their strategy and operational plan for the next phase of organisational development. ActionAid UK have committed to a new solutions focused approach to the private sector, investing in a Corporate Partnerships team to deliver. GSK GlaxoSmithKline reinvests 20% of its profits in Least Developed Countries, and has engaged Ethicore in supporting its relationships with NGOs partners. We delivered the strategic plan for the 20% initiative in Bangladesh and have supported partnership development in Asia and Africa. Made-By wanted to review their publicly available sustainability tools with a view to ensure the tools fully meet stakeholder needs. Oxfam was focused on creating a vision, framework and structure to enable greater impact in its engagement with the private sector. WaterAid asked Ethicore to help them understand their corporate stakeholders better to enable them to design more strategic and responsive partnerships. The Centre for Sustainable Healthcare asked Ethicore to help them develop a framework for their business model and a strategic plan for robust growth. As part of their work to promote the recognition, reduction and redistribution of women’s unpaid care and domestic work, Oxfam were looking for a partner to develop and research a new set of persuasive policy communications on UCDW, targeted at decision makers. Development Initiatives asked Ethicore to work with their Senior Management Team as it embarked on a process of strategy and organisational development. As Oxfam works towards its 2020 vision, it has established a Futures Project to enable transformational change and engage staff in new ways of working. Oxfam asked Ethicore to develop the impact of Oxfam Futures. Save the Children UK asked Ethicore to support the development of their position on market-based approaches for development. Green Alliance needed a new position to reflect their influential role in shaping a sustainable economy, and to inspire staff internally. Christian Aid is developing partnerships for change. Ethicore were commissioned to design and deliver an approach to support staff in the UK and Ireland to involve the private sector. Ethicore developed a strategic, proactive and coherent approach to corporate sector engagement globally. This involved stakeholder research, desk research, an internal engagement workshop with affiliates around the world. CARE aimed to developed a global approach to the health sector and corporate engagement. Ethicore researched the market, engaged corporate and global stakeholders and mapped the opportunity. Ethicore was asked by the C&A Foundation and Evidence Aid to develop a 5-year Business Plan for Evidence Aid, the evidence champion for the humanitarian sector. Ethicore has provided the Skoll World Forum with strategic direction, facilitation and full-service marketing right through to evaluation. The National Trust, Play England, NHS Sustainable Development Unit and RSPB engaged Ethicore to design and facilitate the launch of a new initiative to reconnect children with nature. Practical Action want to scale up access to energy in developing countries. They brought in Ethicore to help them build a strategy to engage companies in this challenge. 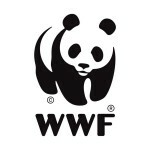 In 2011, Ethicore were responsible for the marketing, facilitation and capture of the World Forum. Approximately 140 world leaders convened to discuss ecosystems services. Ethicore was commissioned by ETI to explore the role of consumers in influencing companies to improve the conditions for workers in their supply chains. Syngenta approached Ethicore to help it innovate with an international NGO. The question was how to engage with small-holder farmers – particularly women. The ‘We Will If You Will’ Initiative was designed to enable individuals to develop more sustainable lifestyles. We helped build a coalition of NGOs and businesses committed to delivering practical solutions to climate change for consumers and communities. Oxfam were offered the opportunity to exhibit and present at Food-Ingredients Europe – a critical event in the food industry diary. The Private Sector team approached Ethicore to help them achieve a big impact.